Average people who suffer a concussion may be three times more likely to commit suicide years after their brain injury, a new Canadian study suggests. Further, the long-term risk of suicide appears to increase even more if the head injury occurs during a weekend, researchers found. Based on these results, loved ones and physicians should keep a close eye on anyone who's had a concussion, even if the head injury happened years ago, said senior author Dr. Donald Redelmeier, senior core scientist at the Institute for Clinical Evaluative Sciences and a physician at Sunnybrook Health Sciences Center in Toronto. "Nobody commits suicide in the immediate weeks or the immediate months after the concussion," Redelmeier said, noting that suicide tended to occur on average nearly six years following the head injury. It's important to note, however, that this study only showed an association between concussion and suicide; it did not prove a cause-and-effect link. Most research on long-term effects of concussion has involved military veterans and professional athletes, Redelmeier said. But he and his colleagues wanted to investigate whether garden-variety concussions cause any lasting problems for the general population. They combed medical records to find every adult diagnosed with a concussion anywhere in Ontario during a two-decade period. The researchers looked for people who had concussions, but didn't need surgery and didn't need to be hospitalized, Redelmeier said. They came up with more than 235,000 people who'd had a concussion. From this group, 677 committed suicide. Findings from the study were published Feb. 8 in the CMAJ. People who got a concussion on the weekends fared even worse, with four times the average suicide rate, the researchers said. The increased risk remained even after researchers accounted for people with a prior history of psychiatric problems. "That's an important finding in and of itself," said Dr. Robert Glatter, an emergency physician at Lenox Hill Hospital in New York City and former sideline physician for the New York Jets football team. "Just having concussion increases suicide risk in patients without a psychiatric history. All primary care physicians and pediatricians need to be aware of this study." Could exercise help speed concussion recovery in teens? Weekend concussions probably have longer-lasting effects because they receive less medical attention, the experts suggested. Concussions during weekdays typically occur on the job, where "we often have a more regimented type of follow-up," Glatter said. "People are referred to the emergency department after such injuries because they are job-related and they will be compensated for follow-up care," he said. On the other hand, weekend concussions often are related to recreation or sports activities, Glatter and Redelmeier said. People are more inclined to shake off those head injuries and not get proper care. "If you want to get back up and back in the game, no one will stop you, and some of your teammates or your coaches might even encourage that," Redelmeier said. There are several theories why concussions might be related to increased suicide risk, the experts said. Repeated concussions are thought to cause lasting injuries to the brain that affect brain chemistry, increasing the risk of mood disorders that can lead to suicide, Glatter said. These findings show that concussions may have an impact on long-term brain health, Redelmeier added. "A concussion doesn't do anybody any good," Redelmeier said. "It can injure hundreds and hundreds of neurons inside the skull, every one of which might be important for something." However, a concussion also might be a sign that a person already has a mood disorder that makes them more apt to be careless, impulsive and, in the end, suicide-prone, Redelmeier noted. In that case, a concussion might be an indication of an underlying mood disorder, not a direct risk factor for suicide. 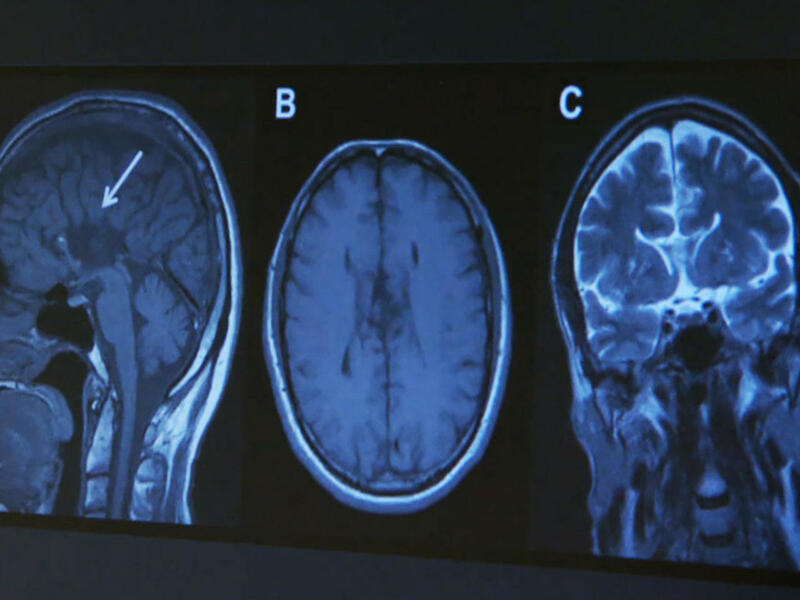 Dr. Uzma Samadani, a neurosurgeon at Hennepin County Medical Center in Minneapolis, said the study reinforces the need for better detection and treatment of concussions. More and varied tests need to be developed for concussion, just as there are different tests to gauge the severity of a heart attack, Samadani said. "We have no way of defining it, detecting it, diagnosing it at present that is universally accepted," she said. "That is a travesty. We are obviously not doing enough." In the meantime, loved ones should not be shy about watching for warning signs of suicide and urging past concussion victims to get help if needed, said Dr. Vani Rao, an associate professor of psychiatry and behavioral sciences and director of the brain injury program at Johns Hopkins Medicine in Baltimore. Warning signs might include depression, substance abuse, feelings of hopelessness, talk of suicidal impulses, extreme mood swings or withdrawal, according to the U.S. National Institute of Mental Health. "Family members should be educated about the risk of suicide in people with traumatic brain injury, and if they see a change in behavior or change in mood they should be taught to ask questions and get help for their loved ones," Rao said. Also, concussion patients should make the head injury a part of their medical record, the same as medication allergies or prior surgeries, Redelmeier added. "Don't forget about it," he said. "If you had a serious concussion 15 years ago, it's worth reminding people of that."